America's Top 50 Inclusion Corporations: Who's Gaining Market Share By Doing The Right Thing? Southport, CT: Today, OMNIKAL announced the Omni50 Award Winners, which are the top 50 US corporations who are awarding the most business to the growing, culturally diverse vendor/supplier marketplace. These same corporations are also successfully appealing to the growing Millennial Generation, which, by 2020, will be the largest and most diverse population and market segment in America, * a market segment that is forcing brands to evolve from minority/diversity paradigms to inclusion. 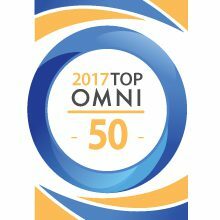 AT&T was named the #1 Omni50 Award Winning Corporation. Other companies at the top of the winners list include: Wal-Mart, Northrop Grumman, IBM, Apple, Bank of America, Verizon, Raytheon, Kroger, Microsoft, The Coca-Cola Company and Cisco. Award Winners will be honored at OMNIKAL's 17th Annual Business Summit, May 18th in New York City at the Harvard Club. The Omni50 is a ranking of the top 50 corporate buyers of multicultural products/services throughout the U.S. It represents the voice of over 2,000,000 privately held businesses in the OMNIKAL member community. The list is circulated by over 1,000 organizations, which reaches millions of consumers every year. Since 1999, it has become a highly valued metric of corporate excellence in reaching the Millennial Generation's diverse and inclusive market. The Omni50 Awards have become the most recognized honor of their kind in the country. These award-winning companies truly differentiate themselves in the marketplace in a time when inclusion has become one of the most important goals of every organization. It is also at a time when public recognition is key to ongoing financial, ethical, social and cultural success. Every year, OMNIKAL's 2,000,000 member businesses are polled to answer 10 questions about inclusion business practices in the marketplace. Their answers are based on factors such as volume, consistency and actual, quality business opportunities granted through contracts awarded to the diverse supplier marketplace. "The inclusion practices of the "Omni50" Awardees have changed the course of our current economy and as a result, the world as we know it" said Kenton Clarke, CEO of OMNIKAL. "The changing multicultural and multi-generational landscape of our country has demanded this evolution. OMNIKAL is proud to have been a force in the business world for such positive change. Our mission and goal is to equalize, broaden and level the playing field for both brands and an increasingly varied vendor/supplier marketplace." Most "top" lists honor companies for traditional economic growth, shareholder returns and similar metrics; however, the Omni50 awards are an indicator of which organizations provide the best business opportunities to the increasingly varied vendor/supplier marketplace. This, in turn, influences more corporations, as they compete for market share in multicultural and multi-generational communities. "Organizations that buy the most from diverse businesses through their Supplier Diversity Initiatives and who strive to continue developing mutually beneficial relationships should be recognized. This is a message worth spreading. And that is what we have accomplished through The Omni50 Awards." said Michelle Van Otten, Chief Marketing Officer at OMNIKAL. As the culturally diverse Millennial market gains more buying power, corporations have to focus their efforts on rebranding and reorganizing to avoid losing market share and to remain current and relevant. The Omni50 list has therefore become the most critical guide for businesses as well as consumers. "As a business owner, I appreciate the business we receive from corporate buyers; and in turn, when I buy either personally or for my company, I am more likely to buy from the same companies that support my business or are supporting businesses like mine," said Kathy Steele, principle of Red Caffeine headquartered in Elmhurst, Illinois.